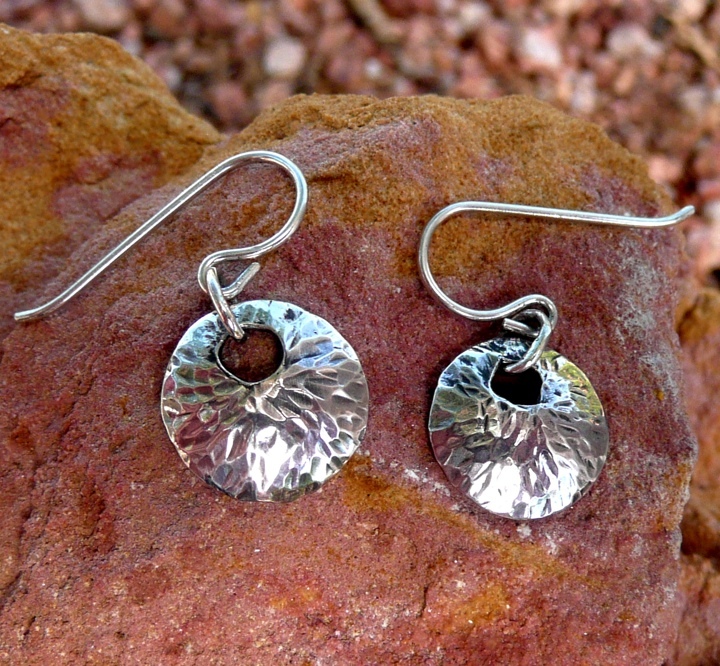 These earrings are hand-cut and hand-hammered. No two are alike. Made to order.